ANNAPOLIS, Md. — Mayor Catherine Pugh’s scandal has grabbed attention nationally, and, of course, here at home. It has the attention of law makers as well. Governor Larry Hogan, Comptroller Peter Franchot, and now legislators are getting involved. The discussion of Pugh's problems started early Wednesday in Annapolis. Franchot was the first public official to speak out about Pugh and the board of the University of Maryland Medical System, and he continued his concern at the Board of Public Works meeting. “Governor, your call for the state prosecutor to be involved in the situation in Baltimore is spot on,” Franchot said. He warned this controversy has much more to come. 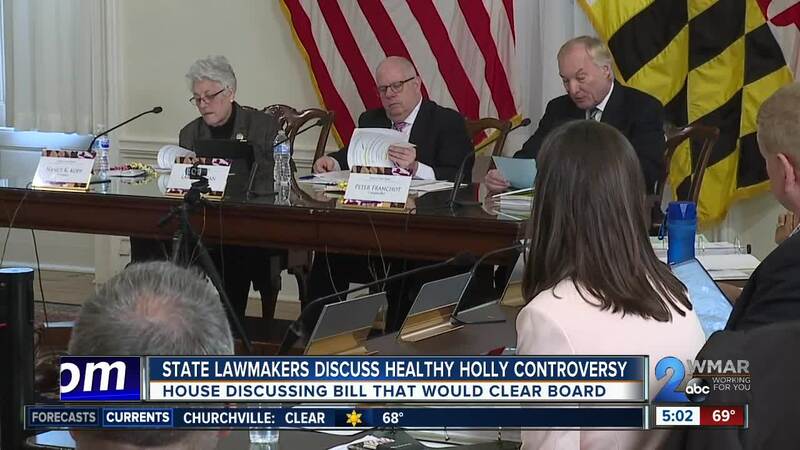 The house is discussing a bill that would have every member of the University of Maryland Medical System board resign and reapply. “Some may be reappointed and some may not,” said Howard County Delegate Shane Pendergrass, a Democrat. The bill would also stop no-bid contracts for UMMS board members and require an audit for contracts. The bill also restricts who may serve on the board. “And some of the other things we said in the bill was we said no elected officials, just to keep things simple,” Pendergrass said. Senator Jill Carter has a similar bill in the senate. She says “It takes two to tango” and this problem is bigger than just the Mayor. “You got to look at the other entities that were involved, and what they stood to gain and what they did gain, and so there's a lot going on than just casting aspersion upon one person here,” Carter said. “It's much bigger than that.